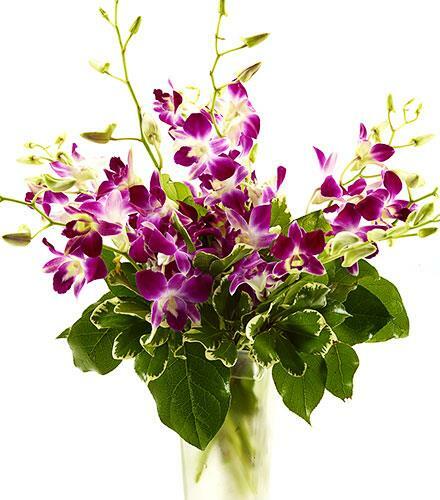 Orchids are always very classy and long lasting too. .
Dendrobium orchid stems and greenery arranged in a clear glass vase. 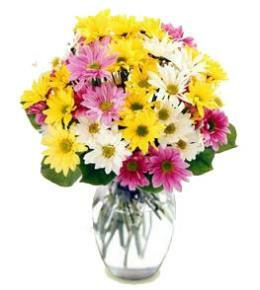 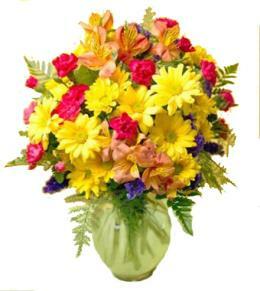 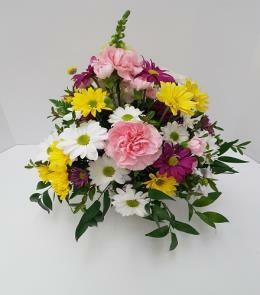 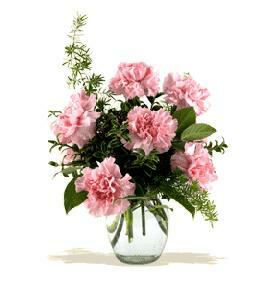 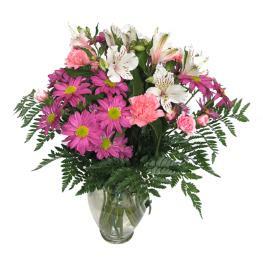 Long lasting flowers make an outstanding gift. 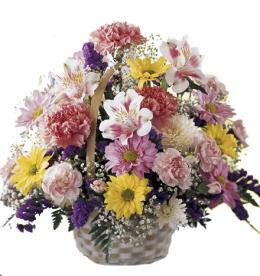 Other colors such as white may be available.